Terry Schall Durkin, who was inducted into the Camden County Sports Hall of Fame in 2004, will be honored tonight with the Bob Kenney Award. It’s the latest honor that will be bestowed upon the little lady who has been officiating basketball games and teaching physical education for the past 54 years. Terry played basketball under the legendary Bert Nolan at Gloucester Catholic High and was the captain and playmaker. Under Nolan’s tutelage, she gained a love and feel for the game that has stayed with her. Durkin played during the six-person “half court game” that placed three girls in the frontcourt who could shoot and three in the backcourt to defend. Then they had the “rover” which was the only player who coud play the whole court. When she graduated, Catholic schools were having a difficult time getting teachers. A new school in Runnemede, St. Teresa’s, offered Terry a job. 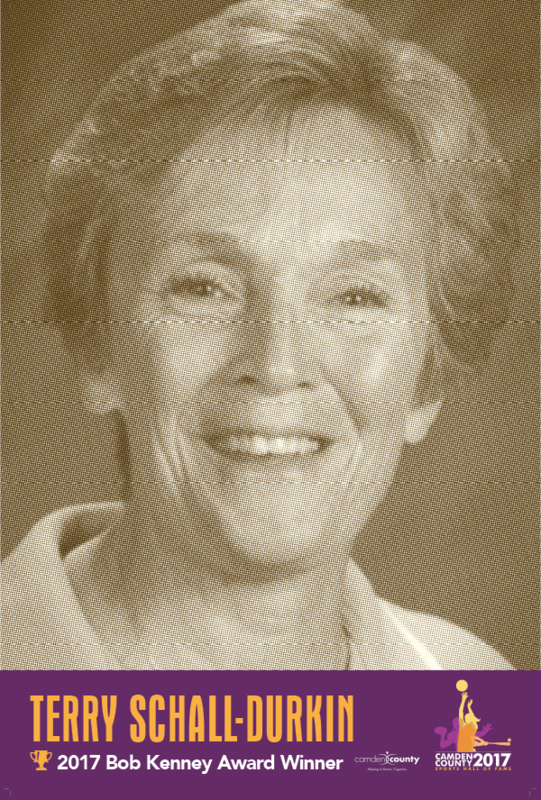 She has taught for five decades at St. Rose of Lima School near her Haddon Heights home. She may very well have taught the rudiments of many sports to three generations of grammar school girls. That includes teaching basketball under the same rules as boys’ basketball. Somehow, everyone now admits that girls don’t have a “delicate constitution” and play at the same pace the boys do. Terry has served under seven principals at St. Rose: Jean Collins, Carolyn Miller, Kathy Lange, Mary Burke, Steve Hogan, Diane Westeger and now Bill Stonis. Durkin considers her family her most important consideration in life. That includes husband John and three sons in their 40s: John Jr. (wife Karen), Michael (Marianne) and Brian (Kate); and three grandchildren, Patrick, Sam and two-month-old Marley.